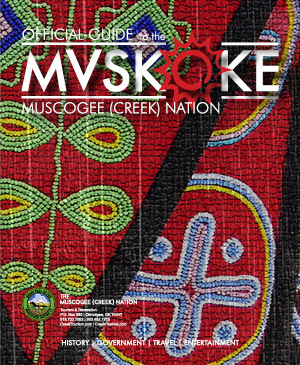 JENKS, Okla. (AP) – Almost two years ago, the Muscogee (Creek) Nation purchased a largely empty shopping center. RiverWalk Crossing wasn’t always that way. Shortly after it opened in January 2005 along the west bank of the Arkansas River in Jenks, the center was filled with restaurants, knick-knack stores, a coffee shop, bars and an arcade. During warm weather, the patio areas bustled with people of all ages. Some hopped from store to store; others lingered to soak up the atmosphere. But the good times didn’t last. One by one, storefronts darkened and the crowds thinned. By the time the Creek Nation bought the property at a foreclosure auction for $11.5 million in April 2012, only a handful of popular destinations, including Los Cabos, The Melting Pot and RiverWalk Movies, remained. The first two years of tribal ownership have been quiet, with little tenant movement until recently. But Principal Chief George Tiger, who personally made the winning bid for RiverWalk, said the tribe is working toward bringing the boom times back. In recent months the tribe has begun physical work on the center. The first step was taking the main office once occupied by original RiverWalk builder Jerry Gordon and transforming it into a branch office of the Creek Nation. Tiger often uses it during his work in the Tulsa area. “We felt like we needed to have a presence at RiverWalk to help host prospective tenants,” Tiger said. More recently, the tribe has begun remodeling one of the northern buildings in the center’s second phase, formerly home to a country bar, into additional office space. Though the retail portion of RiverWalk had struggled, its hidden office space on the second floor has remained mostly occupied with tenants such as Benefitfocus, a benefits technology company, and Riverwalk Dental Spa. Tiger said the goal is to attract a large national tenant, possibly to be built in the gap between RiverWalk Movies and the two northern buildings in the second phase. In the meantime, new tenants are starting to arrive. Pinot’s Palette – an art studio that offers classes along with wine, beer, soda and coffee – opened last year, and according to studio manager Kristal Wheeler, it’s been a great success. “As far as our franchise goes, we’re among the top in the nation,” she said. Two other new tenants have ties to the Creek Nation. Nevaquaya Fine Art features works by American Indians, and Embroidery Designs is a nation-owned embroidery and screen printing company. Michele Meza, general manager of Embroidery Designs, said being at RiverWalk could give the business great visibility. Additionally, Benefitfocus has expanded its offices to include a small portion of former retail space on the first floor. Tiger said that while progress is being made, the tribe is actively seeking an ambitious management group to take control of leasing and day-to-day operations. The tribe’s efforts have tenants such as Blake Smith, owner of RiverWalk Movies, optimistic. Smith said he’s planning his own changes for RiverWalk Movies, though he won’t announce them until plans for the rest of the center are unveiled. Josh Driskell, president of the Jenks Chamber of Commerce, said he’s talked to tribe members and have heard some good additions are coming to the center. “In 2014, we’ll see a lot more movement at the RiverWalk,” he said. Driskell said the nation wants RiverWalk to complement its casino across the river, which is getting a $335 million makeover into a Margaritaville Casino, complete with a 483-room, 26-story hotel tower. Tiger said the tribe is in the early stages of plans to connect the two properties, possibly with a low-water dam. In the meantime, Margaritaville is already having an effect on RiverWalk. Wheeler said that the Margaritaville announcement was the deciding factor leading them to open Pinot’s Palette to RiverWalk. “When we heard about Margaritaville, we figured it would be a great place to be when it’s established,” she said. To make RiverWalk strong in the future, Creek Nation officials have to avoid the mistakes of the past. Gordon initially found great success with the $25 million center and stirred up excitement across the area. But Smith said problems bubbled beneath the surface from the start. RiverWalk Crossing’s second phase, originally planned as the first phase was under construction, was long delayed, and when two of the five planned buildings were constructed to the north, they were physically spaced far apart from the original portion, leaving a large gap. By 2009, Gordon sued then-investor David Salomon. Though the suit was settled, Gordon had to sell his remaining stake in the company to Salomon by the end of the year. Driskell said RiverWalk’s decline accelerated under Salomon. “It was a perfect storm of the recession and the management that lead to the decline of businesses over there,” he said. In early 2011, American National Bank of Texas sued to foreclose on the center, alleging Salomon failed to repay three loans totaling more than $28.1 million. Tiger said the key lesson from RiverWalk’s past is clear. Time will tell how successful the Creek Nation will be in rejuvenating the center. Optimism, meanwhile, is running high with many, including Driskell.